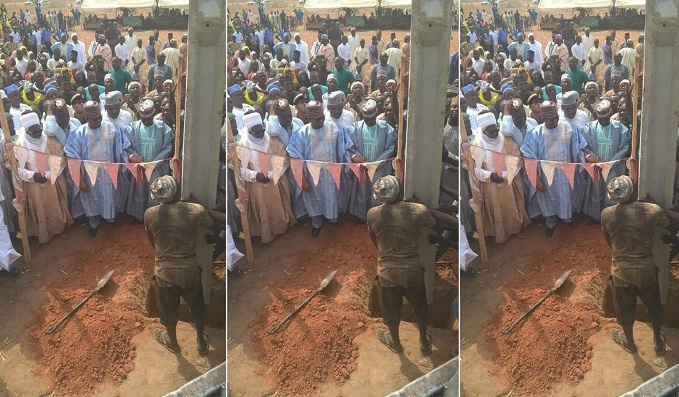 A 'hardworking' Nigerian senator is being bashed online after photos of him commissioning an electric pole surfaced online. 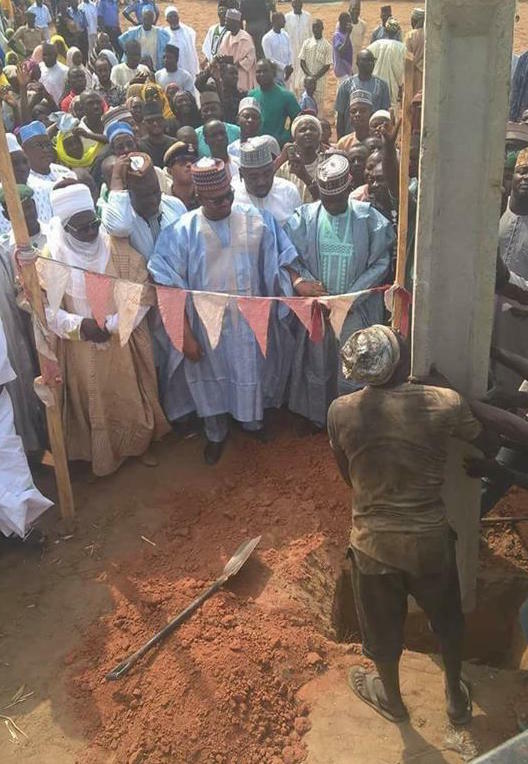 Senator Mustapha Sani Mohammed representing Niger South senatorial district reportedly gathered dignitaries at his community to commission a pole, and the pole had to be held for him to commission. The All Progressive Congress, APC, senator who replaced senator Hajiya Zainab Abdulkadir Kure at the senate was once suspended by his party for refusing to pay his dues. The pictures once posted, sparked a media outrage with many wondering why he commissioned a pole as a federal project. Worthy of mention is the ribbon he was seen cutting. That thing looks like rags that were picked from the ground and sewn together. I give up on this people mehn. This is what happens when you grab power with zero vision.